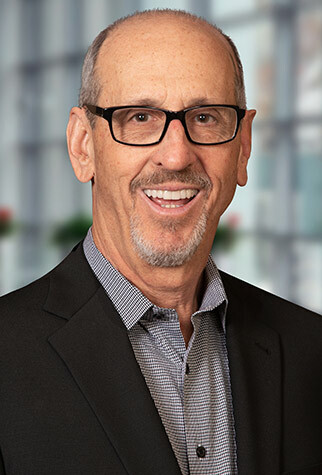 Rick oversees work with clients in the Entertainment Industry, as well as leading the Business Management and Accounting Outsourcing departments. He has additional responsibilities based on his role as Managing Shareholder of the firm. Rick has a special place in his heart for clients in the Entertainment industry. It is one of the reasons he has spearheaded the development of the firm’s Entertainment business since he joined the firm in 1981. It’s a passion that comes from a lifelong appreciation and a little personal experience as well. During his college years, Rick used to hang out at the Comedy Store watching performers like Richard Pryor, Steve Martin, and his all-time favorite, master impressionist Rich Little. Rick was even fortunate enough to take that same stage and perform on amateur night at the Comedy Store. He also worked at the Busch Gardens Theater and emceed events at CSUN and private parties. The pinnacle of this enthusiastic, yet all-too-short career as a performer, came as the disc jockey in the Tam O'Shanter Room at the Holiday Inn in the heart of beautiful downtown Van Nuys, on those wild nights known as "Disco Samba." From the start, Rick's professional career has been driven by the people side of accounting. It's a rare talent in an industry that focuses mostly on numbers. Over the years, Rick has formed long-lasting relationships with clients as well as outside professionals who are experts in their respective fields. “I learn from the pros about their area of expertise,” he says. “Then I form a bridge spreading that information to my clients.” One of the most enjoyable aspects of Rick’s work is removing financial stress from his clients’ lives.